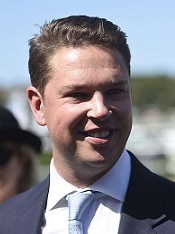 In this Q & A, Harron reflects on that experience as he looks forward to running the horse Redzel beat last year - Vega Magic - in the 2018 edition, worth $13 million, with the David and Ben Hayes and Tom Dabernig stable. I'm fortunate to be surrounded by some great owners, who have come together to purchase the slot, and having discussed with them they gave me great confidence to go forward with the slot. The final key piece of the puzzle was the track record of Peter V'landys in getting things done - he's done great things for Sydney racing and having a spearhead like that as the driving force behind The Everest, alongside the fantastic team at the Australian Turf Club, it really was an easy decision in the end. We got in there as quickly as we could to secure a slot, so not wanting to miss out was obviously a big part, and I'm sure that there are a few people rueing the missed chance now given the subsequent increase in prize money. Obviously, a number of slot holders acted a lot more quickly this year compared to last year, which does affect strategy in terms of the pool of horses left, but overall we've tried to keep close to our model from last year. 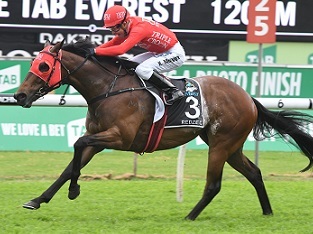 He's a proven performer at Group 1 level and a very reliable sprinter, particularly at 1200m - his arguably unlucky second in last year's Everest was hard not to notice. I thought that there was huge credit in his performance in the Memsie, and it's no secret that a strongly-run 1400m probably sees him out as we saw with him getting caught in the final 50m. For sure the dream would have to be a horse from the JHB (James Harron Bloodstock) colt group in the slot, but we'd certainly never be running one for the sake of it. It's no secret that Australia produces the best sprinters in the world, as evidenced by the exceptional record at Royal Ascot, and as such the profile of an Everest winner at stud would be exemplary on a global scale. The race has also created a buzz which has benefitted the whole of Australian racing - the interest in the sprint races throughout the country in the lead up to the race has been unprecedented and this reinvigoration can only be a huge benefit going forward.